To most of us, we don’t even have to think to breathe. It’s something we didn’t have to learn. It just happened when we were born, and we continue to breathe our way through life. 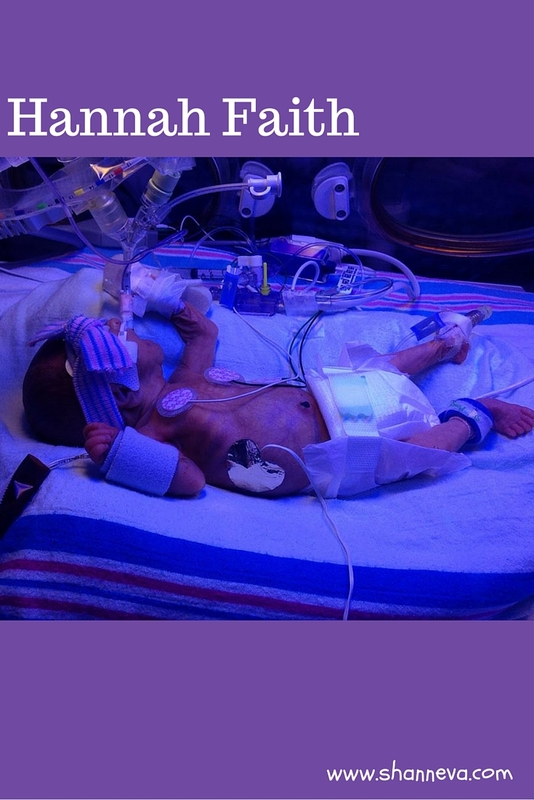 For premature babies, it is not that easy. In fact, it is a very hard thing to learn. Most, if not all, micro preemies need help breathing when they are born, and continue to need help to breathe for the first few weeks and months of their lives. Sometimes, even longer. 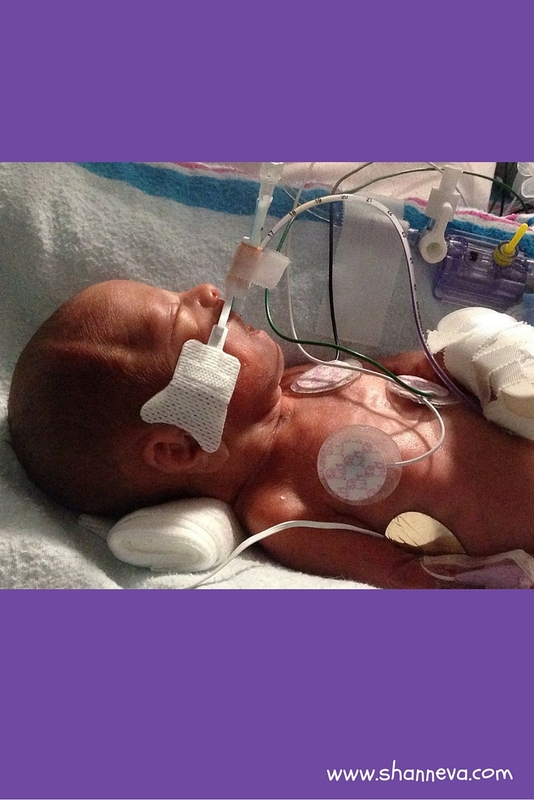 The things that we can take for granted can be critical to a premature baby. Today, we meet a beautiful little girl, who is called Faith by her family. She was born a fighter, and continues to fight in the NICU today. 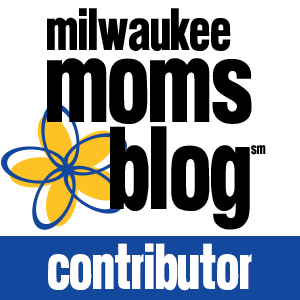 Please read her story, as told by her mom, Kayla. We found out in May 2015 that we were pregnant with our sixth baby. By July, I started bleeding, but was told everything with the baby was fine. By Labor Day weekend, my water had fully ruptured in the middle of the night at 17 weeks. We went to the local hospital, where I was told we would lose the baby. The outcomes with this sort of thing was very, very grave. The only thing the doctor said was to pray. I was kept in the hospital for 72 hours, and then sent home to just wait it out. I never had an infection and continued to feel the baby move. Each week we went to the hospital, sometimes twice a week, to check on the baby. Each week, I was measuring little to no fluid. By 23 weeks, we saw a maternal fetal Doctor who told us to abort, as this baby’s lungs would be in such bad condition that it wouldn’t take a breath. Needless to say, we left there heartbroken. We told that Doctor we were a pro-life family. The next day, we saw a different maternal fetal Doctor who gave us an ounce of hope. He said he wasn’t going to tell us to plan a baby shower, but not a funeral either. 2 days later I started bleeding again, so we were admitted in the hospital. I was supposed to wait there, hopefully to get to 34 weeks. 5 days later, I was in a monitor when the baby’s heart rate sky rocketed to 215, dropping down to 80, and back up and back down. There was no time. They had to take the baby. Scared and alone, as my husband had already gone home to be with the other children, I was rushed down the hall of the hospital, where they did an emergency c-section. Hannah Faith, was born on October 27 at 9:32 pm at 24 weeks. She weighed 1 lb 10 ounces. 11 inches long. 2. 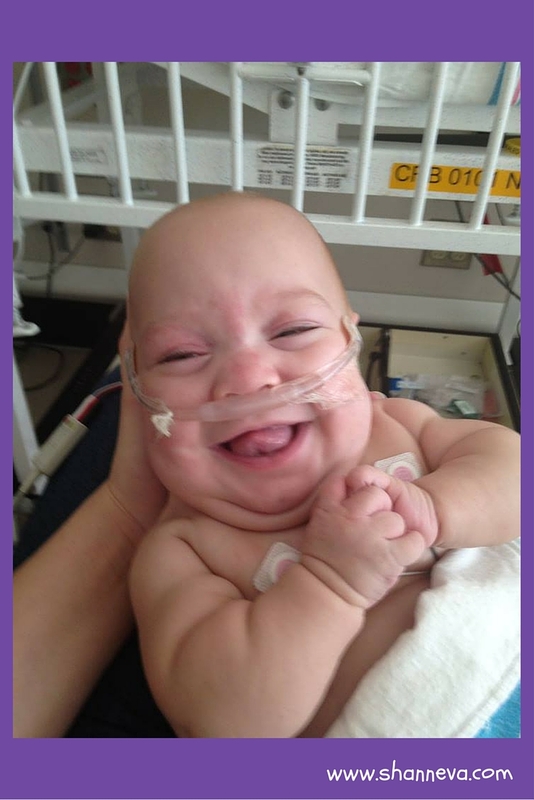 Tell us about your NICU stay. From there, we prayed hard, and prayed with our wonderful NICU doctors and nurses. We told them we trusted God had a plan for her, and he was using them as his instruments. We have been blessed that she never had a brain bleed, NEC, or anything else that comes along with prematurity. Our biggest battle was, and still is her lungs. 3.How are you and your baby doing now? She will be 8 months old on June 27th, and we are still in the NICU. We have been through many trials, many infections, blood transfusions, and PICC lines. 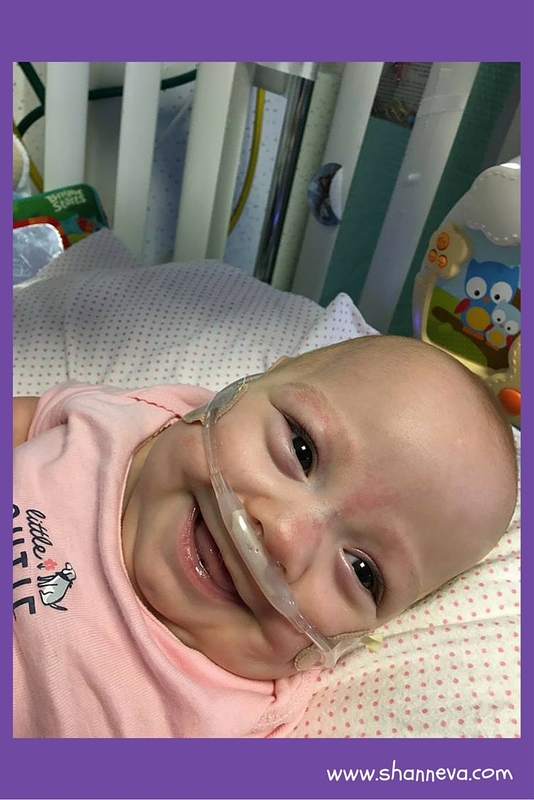 While we know that she will come home on oxygen and with a feeding tube, and we know that she will need lots of therapy, we are so grateful to have her here. She has taught our family about life, and she has taught our family about love. She has also taught our family about Faith. We are currently at a different hospital, waiting for her lungs to grow, but we are hopeful that by the 4th of July week, we will finally get to take her home. 4.Do you know what caused your premature birth? My advice to other moms would have to be, cry when you need to, be strong when you have to, but most important never give up your Faith. As of 2 weeks tomorrow, Hannah had a trach put in. Though she had a rough go after the surgery, she is doing really well. She will be 9 months on Wednesday, and we are hoping another 3 weeks in the hospital, as long as she continues to do well. She got an infection after the surgery and coded, but has since been doing well after they started antibiotics and put her on a paralytic. Today, she is happy and weaning from all the meds after the surgery, as well as weaning from the vent. We are just thankful to have her. Thank you so much to Kayla and her family for sharing their Faith with us. I hope to update you with her homecoming soon. Please leave any supportive comments for the family below. Such a rough road. I cannot imagine the heartache that comes with that situation. I hope she gets to go home very soon! She is adorable and looks so happy! I sure hope that Hannah gets to go home and enjoy life with her family soon! Sending healing thoughts to Hannah and her family! Oh my goodness, what a story. I had my 6th baby last summer and I can’t even imagine what you went through. Especially with a large family. You are so strong, mama. And your little girl is such a beautifully chubby baby! She is so blessed to have you as her family. You know this already, but God works out ALL things for our good. I will keep your family in prayer. Wow, poor baby girl. Amazing that she survived though and I hope she recovers well from her surgery. God bless you, Kayla! I will be praying for your beautiful little Hannah! We share a similar journey! I had five full term (actually overdue!) pregnancies. My 6th was a surprise (youngest was 9 yo). I ruptured at 14 weeks. Drs told me there was no hope, suggested abortion. I put myself on bedrest and made it to 24 weeks with no measurable fluid. Our little Benjamin was 1 lb 10 oz, too! He was the sickest baby in the NICU for a long time. We, too,were spared brain bleeds and NEC. But his lungs were bad. 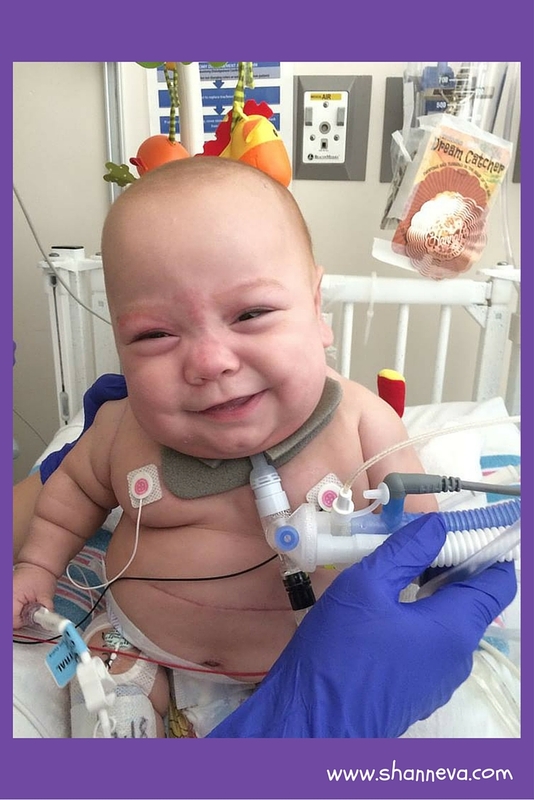 He came home (after nearly 6 months in the NICU) on oxygen and with a G-tube. He will be 2 next month! Praying for healing, growth, and health for your precious little girl! Hang on to hope!! Thank you for such a sweet story. So happy to hear your baby is doing so well. Oh my heart. What a beautiful, strong baby girl. What a beautiful baby girl! I hope she continues to thrive and keep fighting. Thank You for sharing her story. Oh man So much love to baby Hannah and her family. As a fellow preemie baby believe me when I say we are fighters!